Beam is directed where you want it by a reflector and end caps. Double unit lights switch on and off independently. Projects 2-3/4". 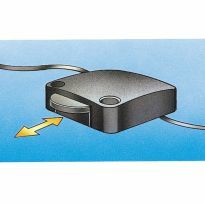 Inlcudes 9-1/2' cord with a conventional plug. 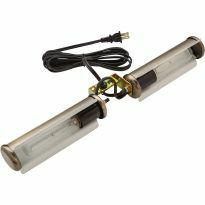 Uses 25 watt bulbs (included). 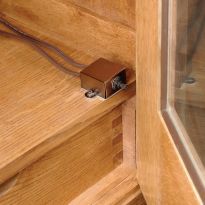 This is a good product that was easy to install in a curio cabinet. These cabinet lights have made an excellent light source for the new cabinets we had put in our dining room. I am building a wine cabinet and wanted accent lighting. hard to find but did not want bright light but more subdued. 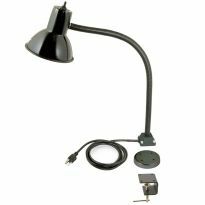 Very easy to install and provides enough lighting! Is this safe to use in a china cabinet? Will it get too hot? Is the cord removable so only a small hole (the diameter of the cord) needs to be made to the back of the cabinet ? BEST ANSWER: I have used this light in two different display cases/cabinets for many years. The lights are left on 24/7. 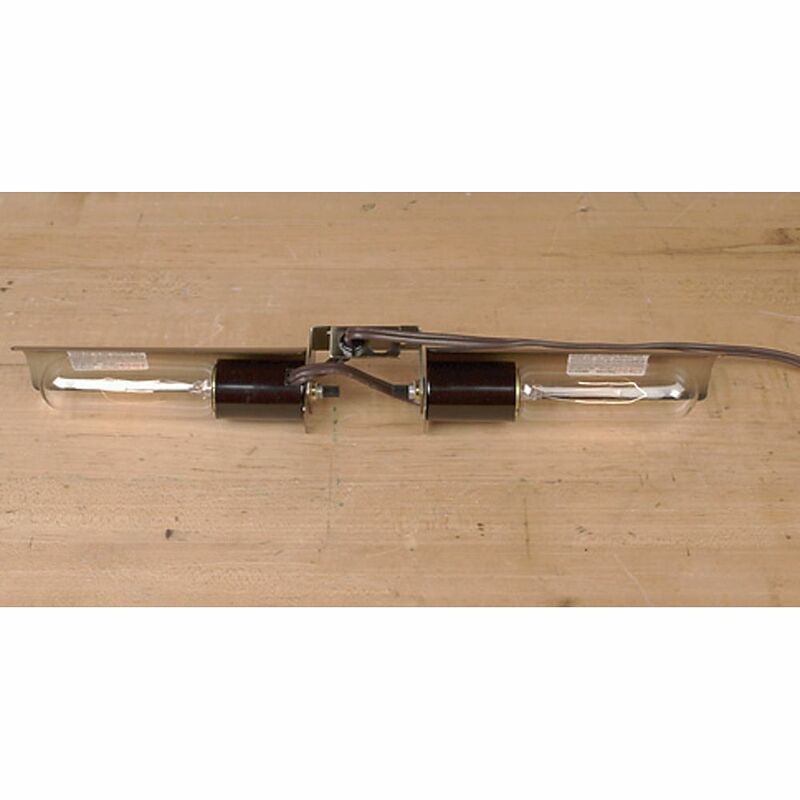 Also different watt bulbs can be used. The cord is not removable. I cut the plug off, and reattached with a replaceable one. This is exactly how I used the light. 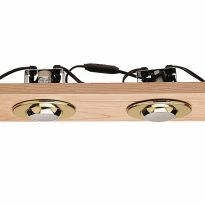 BEST ANSWER: The metal plate that you can see in the picture between the two light bulbs, attaches to a flat surface (I attached mine to wood), with two short Phillip's screws.